5 AWESOME New Children's Books to Read NOW! Home » books » 5 AWESOME New Children’s Books to Read NOW! 5 AWESOME New Children’s Books to Read NOW! The great thing about running a blog is that people send me books. A LOT. And unfortunately I just don’t have the time to spend all day every day talking about books (although that sounds fun doesn’t it?!). HOWEVER, sometimes some REALLY awesome books come across my path and I just want to tell everyone about how COOL these books are! Like the 5 books sitting next to me right now. I shared them on a Facebook Live video which you can watch just below or keep scrolling for a list of each book with link of where to buy it and a short overview. Trust me – these are all worth checking out! 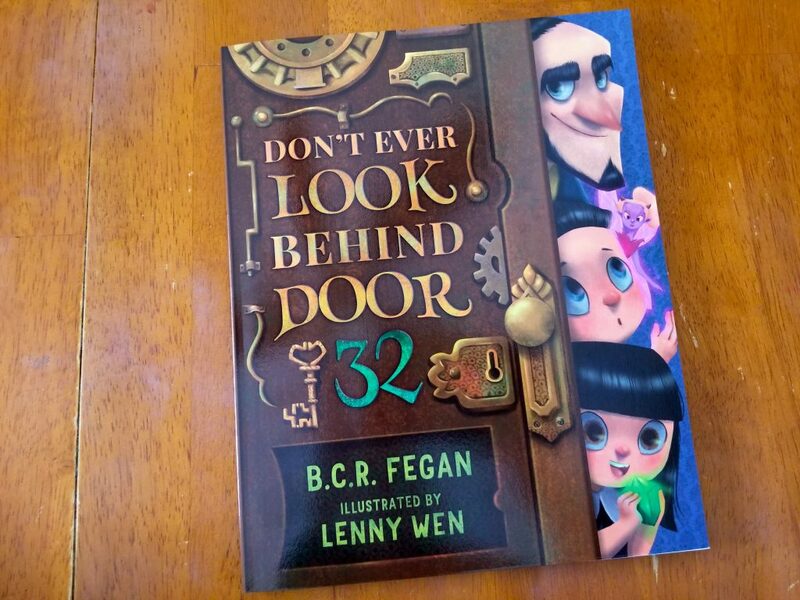 Don’t Ever Look Behind Door 32, written by award winning author B.C.R. Fegan and illustrated by Lenny Wen, is a new children’s picture book (recommended for ages 3 to 8) . It is published by TaleBlade Press. My 10 year old immediately confiscated the book after reading the title and I had to search it out to get it back so that I could read it too! It’s ADORABLE and great for counting….and suspense! 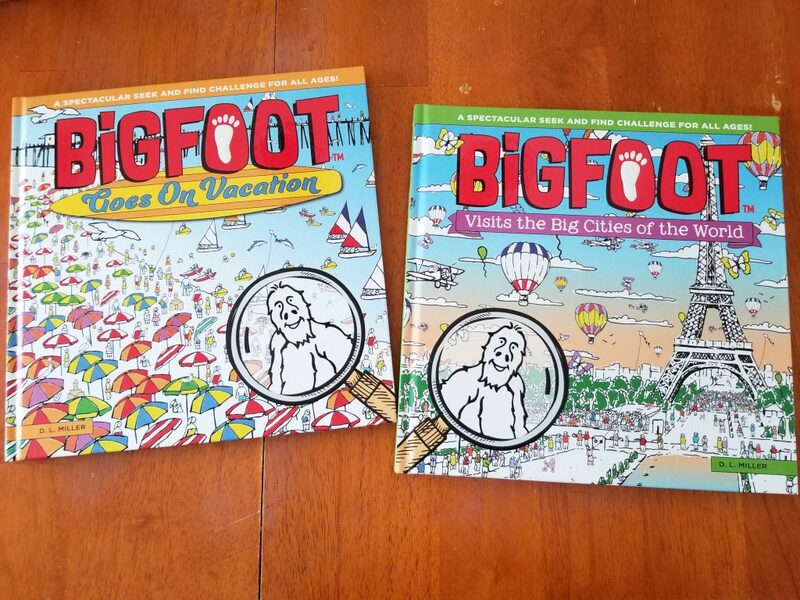 BigFoot Goes on Vacation and BigFoot Visits the Big Cities of the World are fresh off the press! These hardback books by D.L. Miller are so much cooler than I had imagined! Not only are there pages to search for Bigfoot and other items in various Where’s Waldo? type scenes but the book is littered with amazing and unique travel facts and photos! You can even buy related products at ifoundbigfoot.com! *A colorful series of search and find activity books featuring the legendary BigFoot. *Ten big visual puzzle panoramas in each book, all offering impressive levels of detail. *The search for BigFoot on each spread, his footprint, and more than 500 other unexpected personalities and objects. *Fun facts and illustrations about the places BigFoot visits. 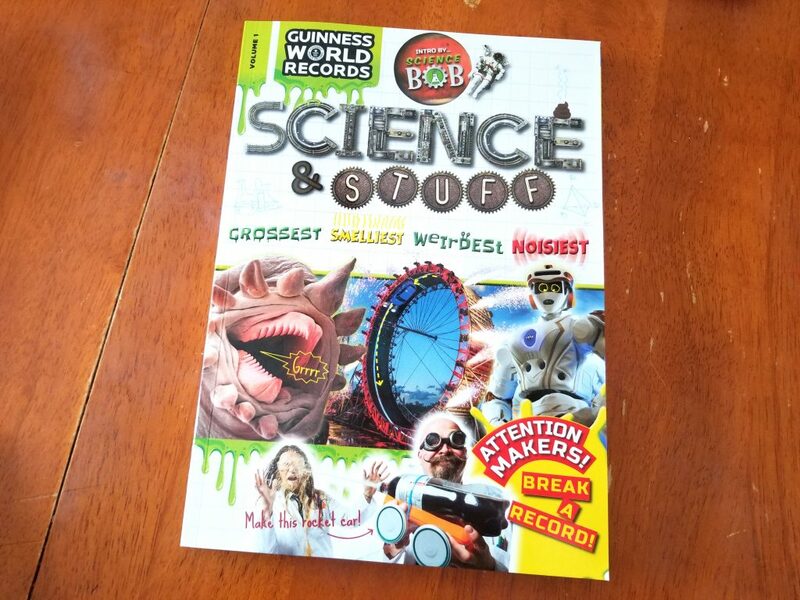 Guinness World Records is another one of my “regular” favorites for reluctant readers and their newest book Science & Stuff is top notch! It is a page-turning book that examines fun facts, educational stats, and world records across subjects from physics to biology to astronomy, chemistry, and more! It’s ooey, gooey and PERFECT for capturing kid’s interest in science! Grab their free STEAM activities e-book download here! 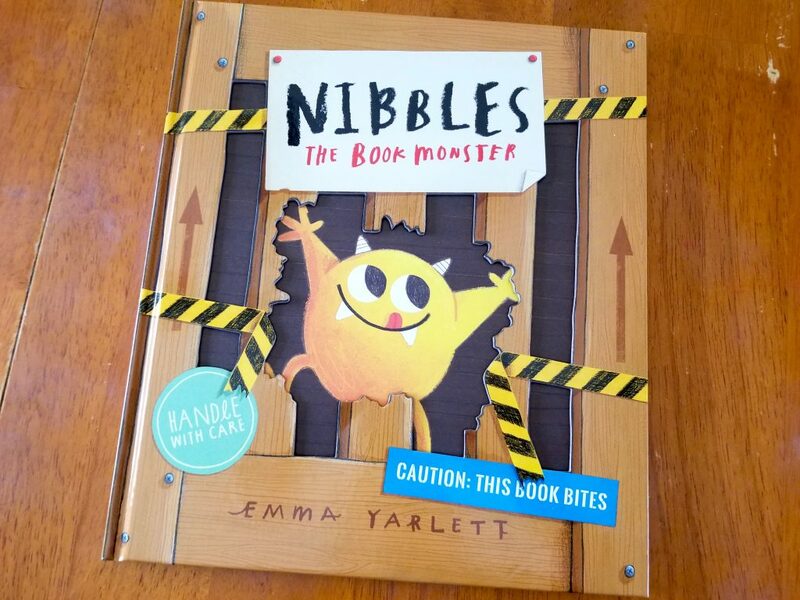 Earlier this year children’s book author Emma Yarlett came to my son’s school and introduced them to her book Nibbles: The Book Monster. He has been hooked ever since as this was top on his Christmas wish list! It’s SO freaking adorable! Essentially Nibbles loves to eat books and eats holes right through all of our favorite fairy tale stories! Inside this book about Nibbles you will have to track him down as he eats holes through books inside of this book. It’s a fantastic interactive flap book on the hunt for Nibbles!